You relish golgappas and aloo tawa chaat but would prefer not to stand at a street corner on a roadside to enjoy it. Worry not. You can now sit inside a fine-dine restaurant and enjoy Golgappas and Aloo Tawa Chaat and if you are lucky, you can have some welcome additions thrown in. Yes, the newest fashionable food circuiting premium eateries in Delhi-NCR is Indian street food —served in style. 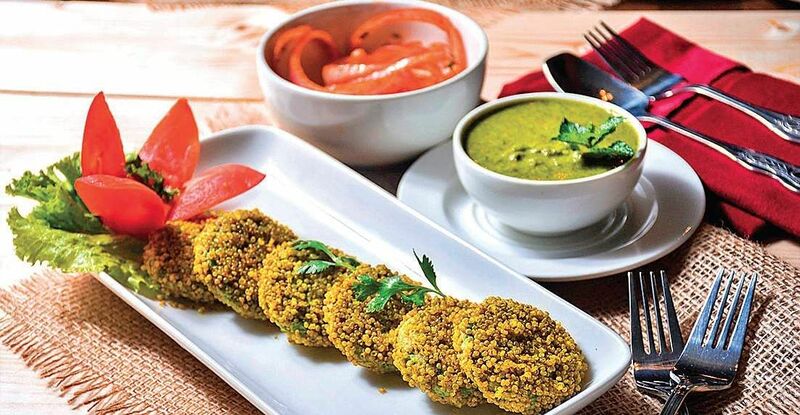 Indian street food — Golgappas, Chaats, Dhai Bhalla, Pao Bhaji, Chhole Bhature — that began making inroads into fine-dine restaurants around five years back occupies a pride of place in their menus today. “We don’t mess with traditional recipes. It is only the presentation that is changed. Originally, street food was enjoyed by friends and families shopping and bonding together. In today’s day and age when lives have become hectic, street food is one way to relive olden days,” says Ravi Saxena, corporate chef at Dhaba. The restaurant has a specially-designed chaat menu, fondly called Chai Pe Chugli. Some enterprising chefs have even redesigned these old dishes by adding a bit of panache and quirk to these so as to gel with the modern times. So Prankster sells Pao Bhaji Zinker, a reincarnation of Pao Bhaji with a Bhaji Patty served in a butter bun and mousse achaar while Café Delhi Height and Nueva sells Bread Pakora made with brown bread. Unplugged Courtyard has gone a step further and added Churros, a Spanish street food which is crispy fried batter in cinnamon and sugar served with a chocolate dipping on the side.Decode Social Dining too has made some reinventions – it offers Pao Bhaji Cone (soft roll cones filled with provencal style bhaaji topped with onions, tomatoes and butter) and Matra Kulcha Pate (French classical Pate served with Pica De Gallo and Chilli Maska Kulcha). The Imperial Spice, on the other hand, has Black Stone Chaat, the traditional Kurkuri Palak Patta Chaat served with chukandari chenna balls, aloo chana and other ingredients. “Street food has always been an integral part of our culture. 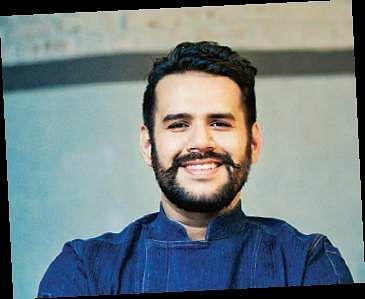 Excluding it from a fine dining menu is grave injustice to India’s rich culinary heritage,” says chef Anas Qureshi, Molecule Air Bar. Agrees Piyush Jain, owner, Decode Social Dining, “Street food brings alive the Indian culture. At Decode, we give them same Chowpatty food served with innovation and creativity,” he says. He cannot be more right. Most of us are indeed crazy about street food. “But many people choose comfort and they are also particular about the quality of the ingredients. This is the reason we have modern avatars of old dishes without any messing around with the flavours,” puts in Varun Khera of The Imperial Spice. Yes, taste is not something that you want changed. “That’s the reason our Chole Kulche served as a Doughnut with Gajar Achar Mousse is a hot favourite among all diners. People get the same flavour in it as the regular Chhole Kulche but with a new look, texture and presentation,” says Prankster chef Harangad Singh. Now, isn’t finding the local chaat on a fine-dining menu exciting?